When talking about a carpet’s lifecycle, we must talk about maintenance. Last month’s post addressed how color selection impacts the life of a carpet. I want to add a few more tips and share some best practices on maintenance. If you’re responsible for specifying a carpet for a commercial interiors project and you’re concerned about long-term appearance and maintainability of the carpet being specified, be practical in your color selection. You’ll start realizing the ROI of a smart choice right away. Fortunately, the technology incorporated into carpet fibers and additional soil and stain resist treatments applied during the carpet manufacturing process provide added built-in benefits related to cleanability which allows for a wider variety of color selections that will perform to desired performance levels using typical cleaning frequencies. This is not meant to imply that any color is acceptable for all types of end use areas. Give some thought not only to the aesthetics of the carpet but also the level of care and maintenance that will be required to keep the carpet at an optimal appearance level throughout its useful life. Understand how the carpet will be cared for. Will there be one person cleaning the carpet, only once a month? Or will a team of properly trained workers be caring for your carpet much more frequently? More frequent cleanings will not only extend the carpet’s life, but open up more color possibilities because they’ll be maintained on a regular basis. If care is infrequent or sporadic, choose a color and pattern that will help mask soil and spills. Understand the yarns used to make the carpet and the source of their coloration. The dye method used to color the fiber will impact the maintenance of a carpet. A solution-dyed yarn has its color incorporated into the fibers when the yarn is made. As a result, solution-dyed yarns can be cleaned more aggressively to remove stains without damaging the color. In addition, a solution-dyed fiber will be the most forgiving for resistance to color loss resulting from spills of harsh cleaning agents or chemicals. A yarn-dyed fiber is made white and then has its color added later in the carpet manufacturing process. A yarn-dyed fiber is not as colorfast as a solution-dyed fiber and is more subject to permanent staining and permanent color loss. Architects and designers specifying a commercial carpet should look for products that carry lifetime warranties for such important things as stain and soil protection, as well as wear and color fading. Most trusted brands offer this and it should not be overlooked to help with a carpet product’s maintainability and lifecycle. The specifier can extend the life of a project’s carpet by making smart choices in the color selection and maintenance plan. This makes for greater ROI and happier clients. Clients will recognize the knowledge and value the specifier brings to the project, and keep coming back for more. Let us know what you think. Are these tips helpful? 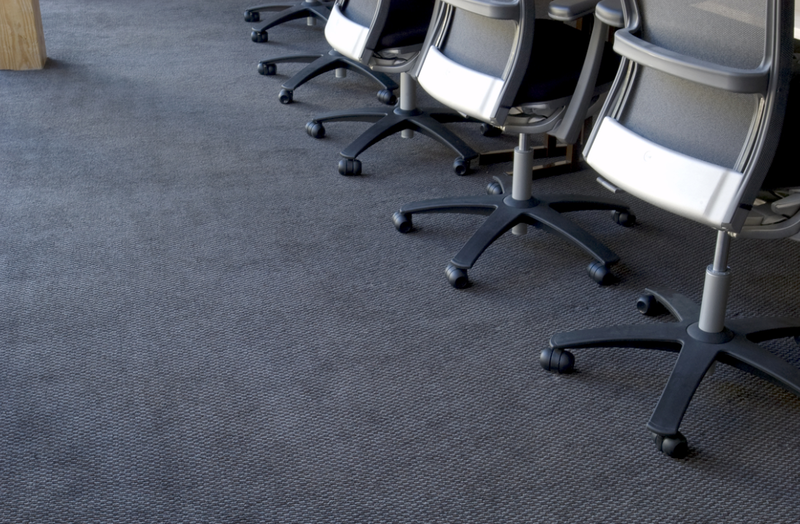 Do you have other suggestions when it comes to color and maintaining a commercial carpet? There are carpets which are cleanable. They have spill protection. I think it is a very good idea to check for them. If you have kids or pets this carpet will be useful. Best regards!